How is Cambria different from other quartz surfaces ? How does Cambria’s price compare to other natural stone or solid surface competitors ? What does it cost ? 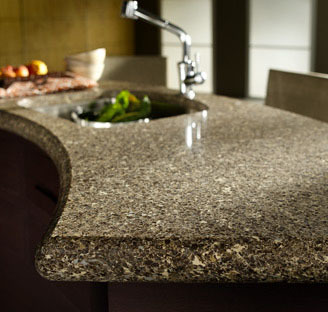 Generally, Cambria prices are comparable to granite and other stone surfaces. Our trade customers such as kitchen and bath dealers, fabricators, and contractors establish Cambria retail prices. Cambria works hard to provide simple pricing and all Cambria designs are sold at the same price. BEAUTY – Cambria is available in more than 100 designs. These distinct designs boast the natural beauty and variation of quarry cut stone.